You may be wondering where the cheese part comes in to Trees, Bees and Cheese. One of our plans is to eventually run dairy sheep and have a small-scale artisanal cheese business, to complement the other income streams on a diverse farm. But in the meantime, we are busy honing and expanding our cheese-making skills. 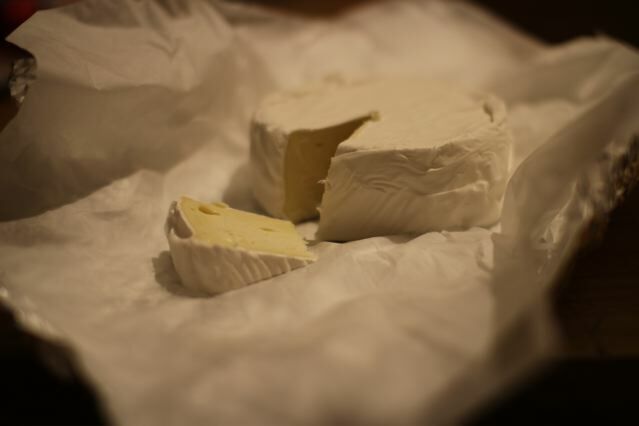 Our first camembert, ready to eat.